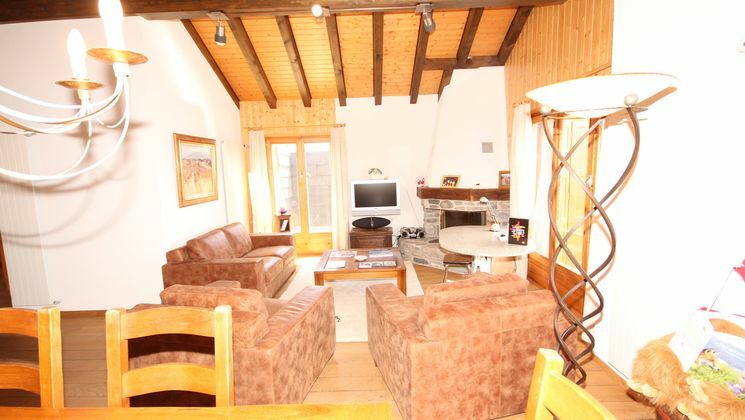 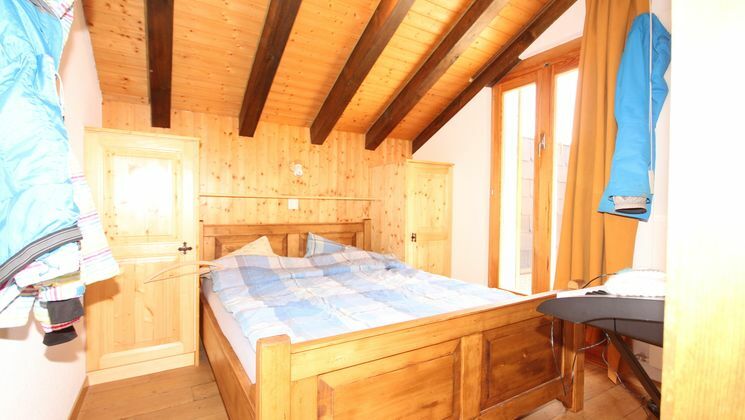 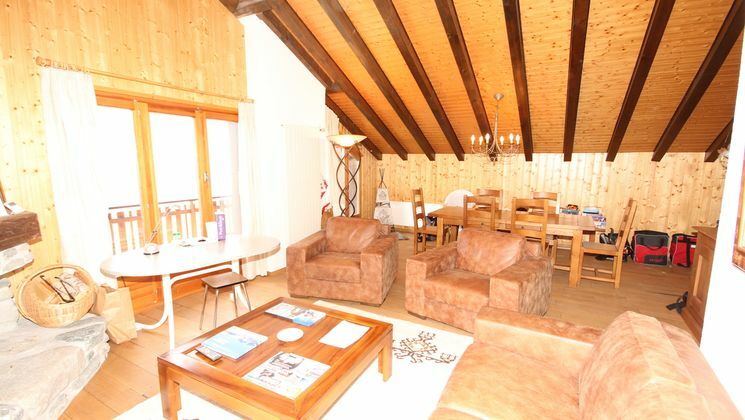 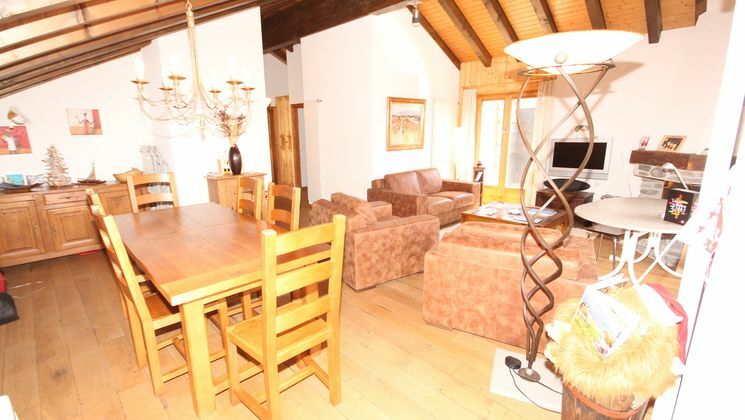 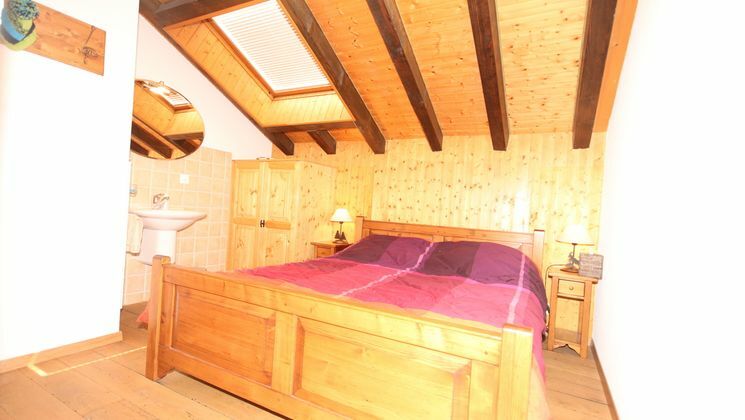 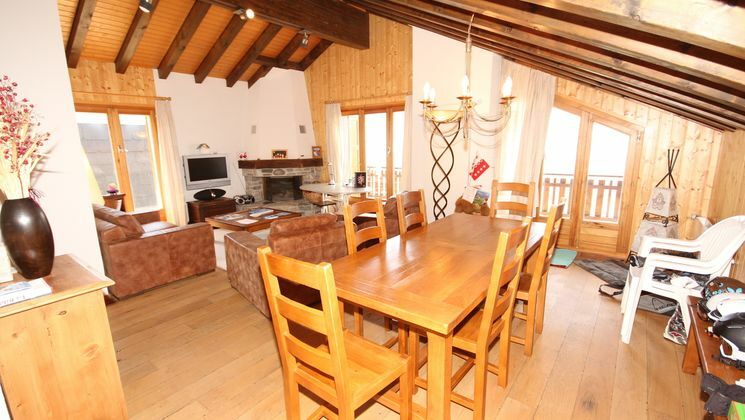 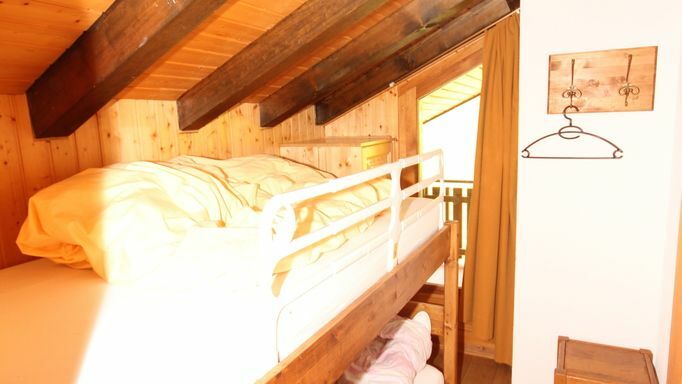 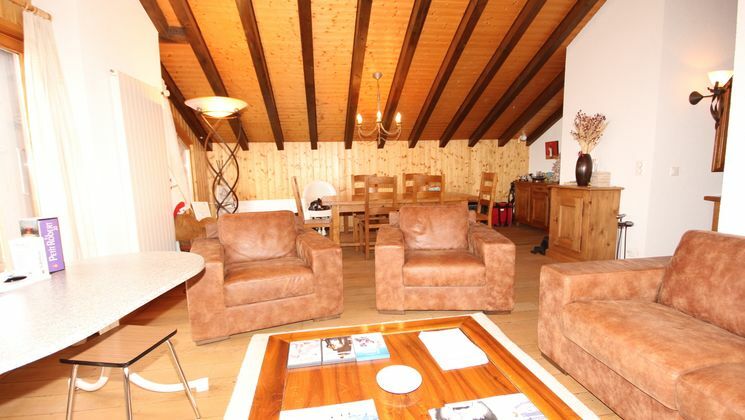 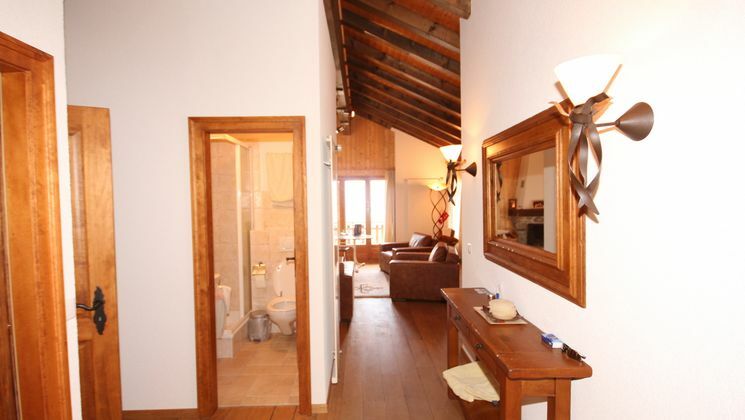 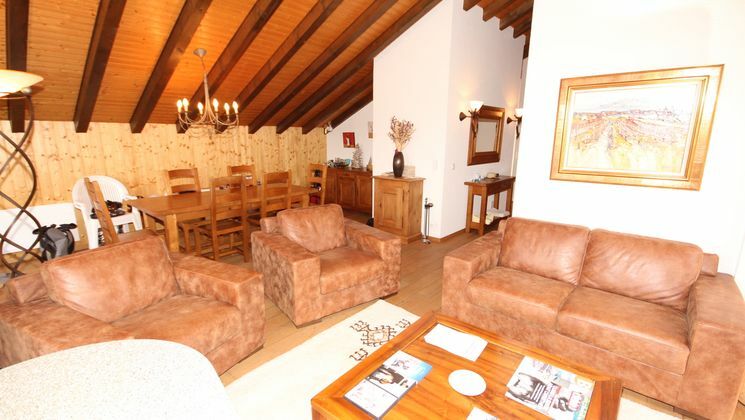 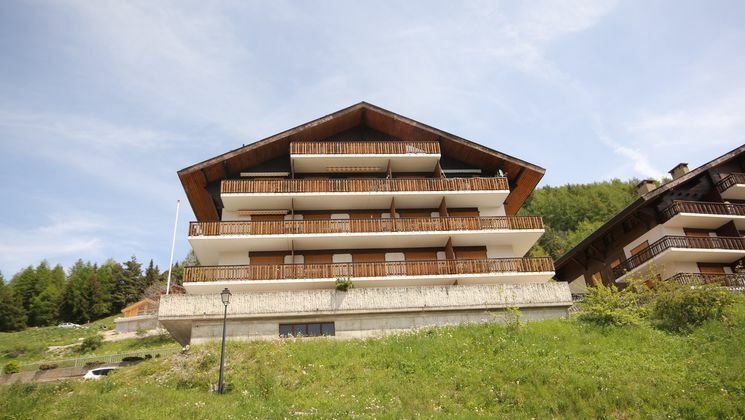 At the heart of Veysonnaz resort, in Les Greppons P building, beautiful 4 bedroom attic apartment with sloped ceilings, renovated in 2005, quiet location with optimum sunshine, balanced surface area of approx. 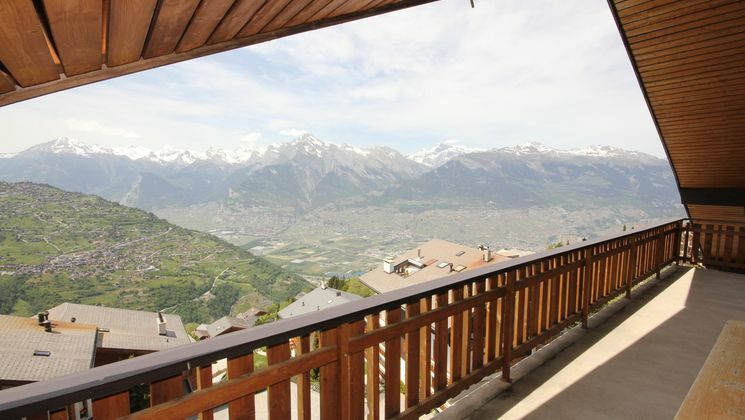 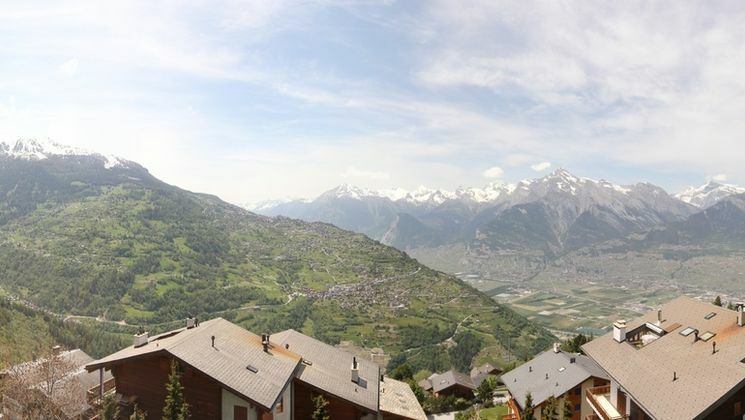 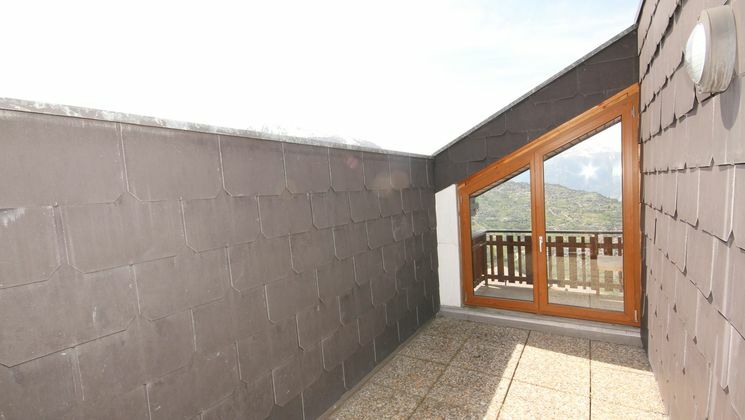 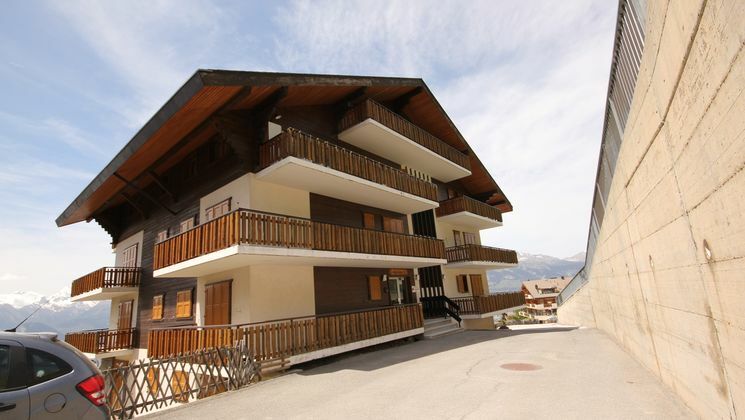 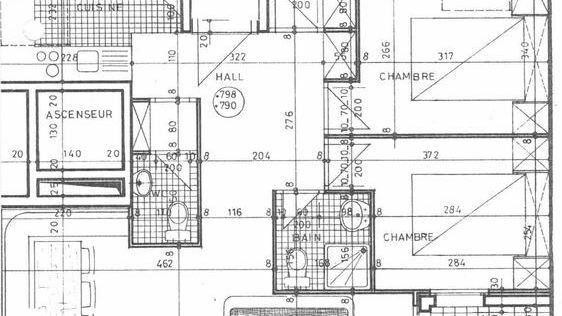 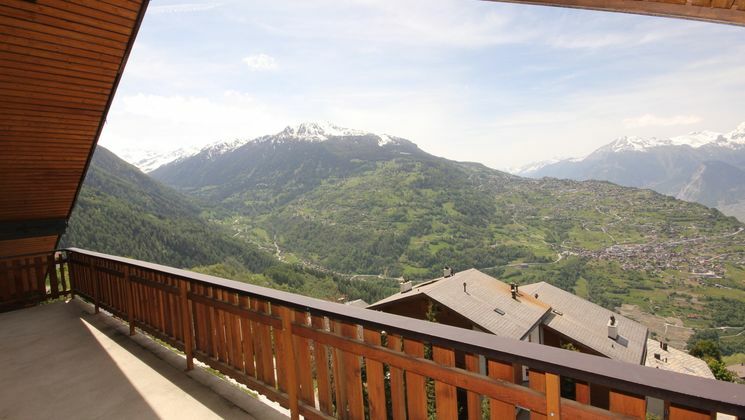 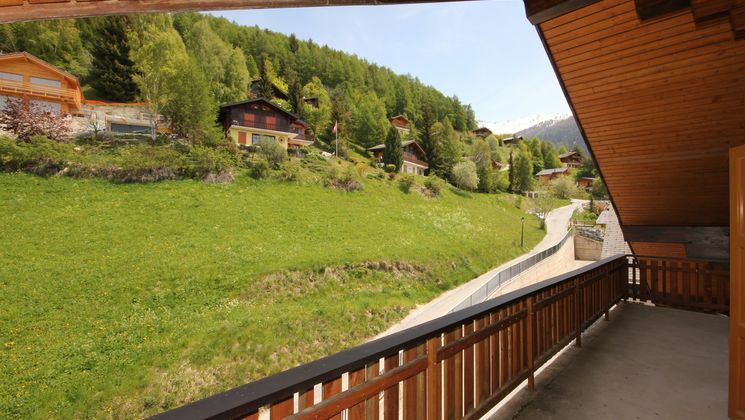 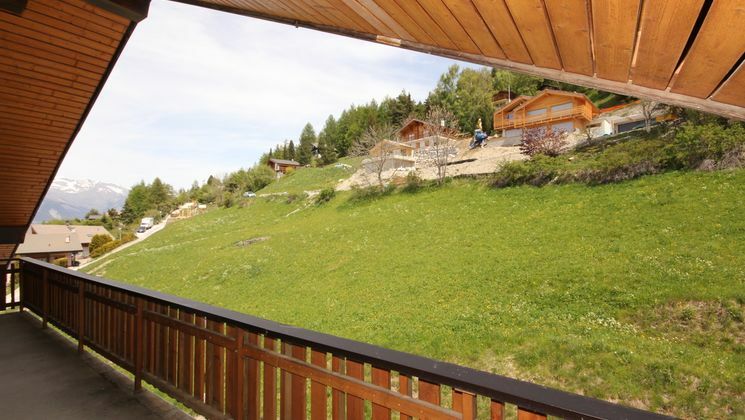 125 sqm (interior 105 sqm, balcony 32 sqm, terrace 7 sqm), in excellent condition, breathtaking and panoramic views of the Rhone Valley, Nendaz and the Bernese Alps. 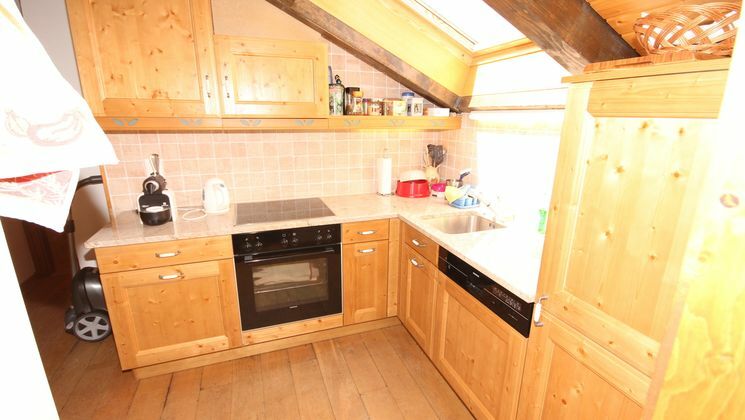 Distribution : entrance hall, spacious and very bright living and dining room open to the ceiling, wooden floor, fireplace with insert, luminous kitchen with large skylight (dishwasher, large fridge and glass-ceramic hob), 2 bathrooms with shower and 1 separate WC , 4 bedrooms of which 3 double and 1 with a washbasin, double glazed windows, east and west facing balconies, closed south facing terrace for sunbathing. 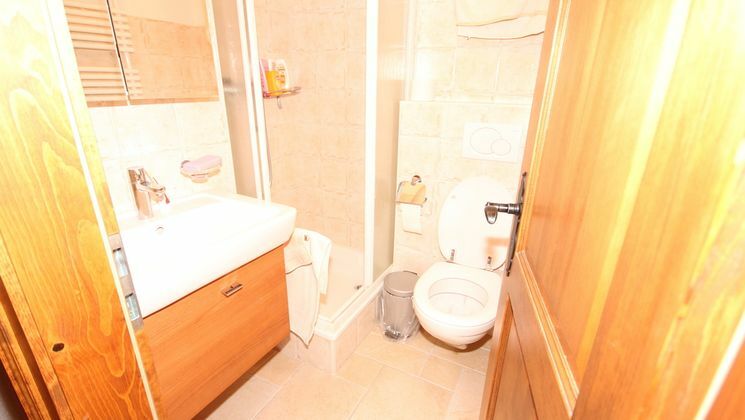 Oil heating. 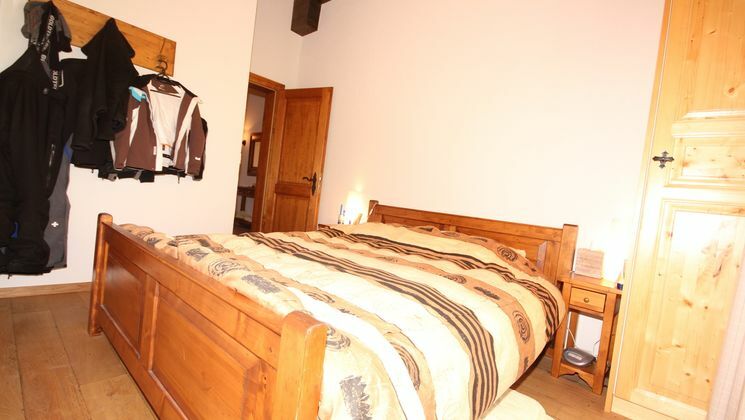 Cellar, ski locker and laundry. 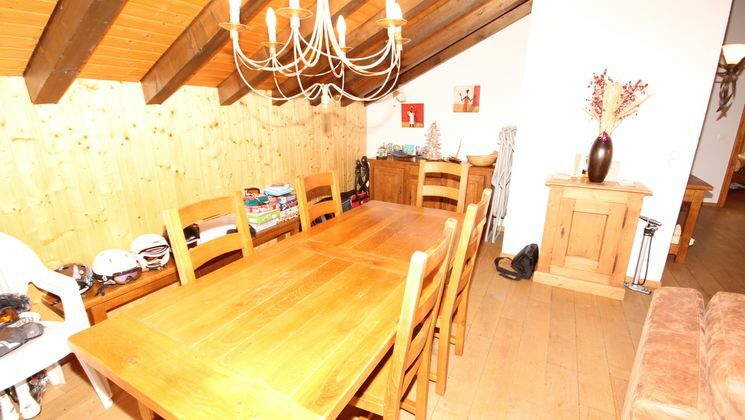 Private parking place in the garage, easy access all year round, price furnished, annual building maintenance expenses approx. 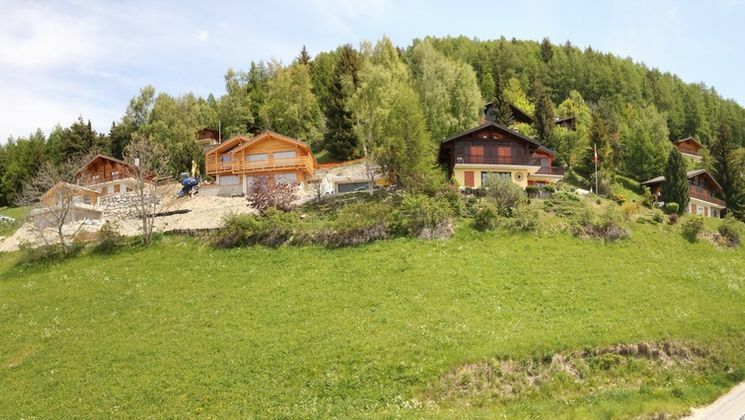 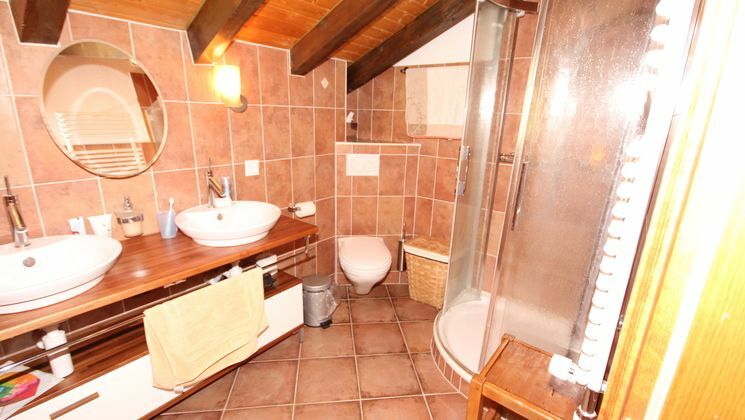 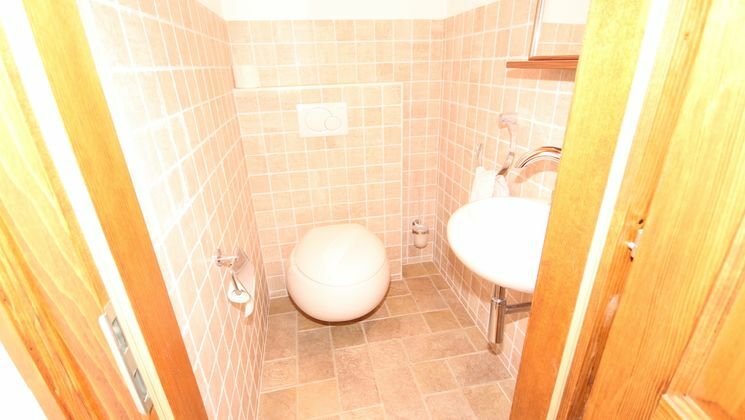 CHF 7'000.-, readily available, foreigners authorized.